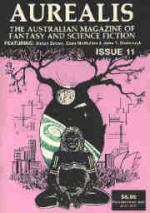 Cover art by Cat Sparks. 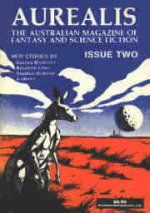 No, this is not another 'Australian speculative fiction is at the crossroads' editorial. The fact is we're always at the crossroads. As with the rest of life, change is constant (although we're not always aware of it). But it's how we respond to that change individually and as a group that will make the difference between a continuing, strong, distinct spec fic voice in Australiaand irrelevance. 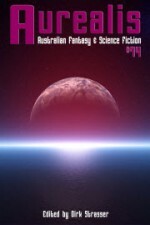 We're a close-knit community and the opinions about where Australian speculative fiction should be going are spread across the whole spectrum of possibilities. That's good. It's a sign of how healthy we are. But there are of course always extremes and often it's the extremists that carry everyone else along with themwe've seen enough of that in the wider world since S11 to recognise it as a truth. Warning. I'm an extremist, so watch out. I had an interesting experience at Continuum, held in Melbourne in June this year. I was part of a panel on the last day called, provocatively, 'Fantasy is a dying genre'. I was joined by proponents of both viewpoints, and I think you can tell who was on which side of the divide by the list of panellist namesTrudi Canavan, Richard Harland, Claire McKenna, Sarah Endacott and myself. We'd spoken to each other beforehand and we wanted to mix it up, have a bit of fun, and throw a few 'bombs' to get the audience involved. As it was, the experience was very odd and more than a few people got a bit upset. Now, before I go on, I'll pause briefly to say that what follows applies equally to science fiction as it does to fantasy. SF has its ghettos, too; they're just not so overpowering and largeat least not in Australia. 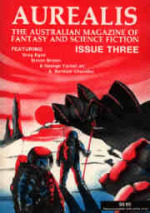 I've read a lot of SF stories during my time with Aurealis, both from Australian and overseas (predominantly American) writers. In the last three years, particularly, I've noticed a marked improvement in the standard of local works submitted. They have originality and a strong voice. In the same time, I've noticed no such improvement in the SF stories from the US. In fact, many of them are doing stuff that's been done to death. Now admittedly we don't get the cream of the US produce here. We get the stuff that's been rejected by Analog and Asimov's and other less prestigious US publications. No doubt these writers think, 'Hey, let's try Australia. Those guys must be starved of good stuff.' Hah! The trouble with the US market is it sees itself as the market for genre fiction. It has a very strongly defined set of likes and dislikes, and woe betide the author who tries to sell something that confounds those likes unless it is very, very, very good. Now, this is a slight digression, but I think the reason for it will become clear soon. I had thought that the main thrust on the panel by those who said fantasy was dying wasn't particularly offensive. It was simply this: there is a vast body of fantasy that is, to put it quite simply, boring. It's covering the same old ground that Tolkien and everyone since then has trodden, peopling it with the same characters and employing tired old plot 'revelations' we've all seen a million times. That is not to say that all fantasy is boring, just the boring stuff. There are still writers who can breathe some originality into the standard European medieval setting with all the trimmings, but it's a law of diminishing returns and if fantasy is to escape becoming hidebound, we need to be open to and nurture that which breaks the mould. Hello! If something is popular, it does not necessarily mean it is good or worthy of support or emulation. Look at Britney Spears. However, if this is what you think and if this is what you really want, I have a hard time understanding why, but I obviously won't persuade you otherwise. 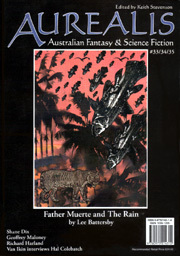 But you see, during my time at Aurealis I've also read a lot of fantasy, both local and overseas, and I probably have a perspective (shared with Sarah Endacott) that most people in the Continuum audience didn't appreciate. Orb and Aurealis print good fantasy. But in reading through the slush pile, we see a lot of fantasy that is simply awful. The people out there that defend 'more of the same' don't see some of the stuff we put up with. Perhaps if they did, they'd be more aware of how cracked and flawed that type of fantasy can be. So if Australian speculative fiction is to continue to grow from strength to strength, it's my assertion that we need to look for and support things that move us away from the familiar. Sure, we shouldn't ignore what has gone before, but we should absorb it and learn from it, attempt to reform it in a fresh way, but not simply regurgitate it rote-fashion. We need to look towards the borderlands. We need to explore the edges and the in-between. Think China Mieville and Justina Robson and you'll see what I mean. Of course, The New Weird is just a label, created to categorise works that might otherwise fall between the cracks. This kind of writing has always been around in some form or another and, thank God, it always will be. Something shockingly, rawly new. You know that sounds to me like what drew me to reading speculative fiction in the first place. I read a book and the ideas in itthe portrayal of future lifethe realisation of it just blew me away. And since then I've read and read and read in the area, always looking for works with that same emotional and intellectual impact. I don't think my own story is that uncommon to other readers in the genre. We all have that first book we read that lifted the scales from our eyes, that opened us up to new experiences and ideas. As we read more, we come across books that are so-so, but we keep going because every now and then we're going to stumble across the next biggie, the book we're going to sit and read in one sitting, because it's the real deal. Something shockingly, rawly new. You don't create something like that by writing to the market or staying faithful to the tropes. What we really want is our sense of wonder back, delivered within a genre format which is really very elastic but strong enough to contain a universe of different styles. As an extremist, I can spot an extremist of the 'other camp' a mile off. Some writers like to set their stories firmly, for example, within a 'standard' fantasy universe. They have unicorns and elves, mail and broadswords, and so on. It's what they like and it's what they write. It's not to my taste, but so what. It's how they give form to their creative energy. But there's a very thin line between following the genre conventions and becoming moribund. The real, wider danger, however, is when writers in this area start issuing statements like, 'I'm writing to the market' and 'this is what the market demands'. Going down that particular path means we will very quickly mirror what has already happened elsewhere in the world. Tolkien himself said that fantasy has the ability 'to clean our windows; so that the things seen clearly may be freed from the drab blur of triteness or familiarity.' By giving the readers 'what they want', some fantasy writers are achieving the exact opposite and killing the fantasy medium for the sake of the market. They're entering the gloomy troll-infested forest and getting sucked dry by leathern-winged wraiths. Which may serve them right. 'Writing to the market' is the authorial flipside of the publisher who demands 'more of the same, only better'. I'm not pointing any fingers here. I think our mainstream publishers do a great job in finding new talent within the constraints of their operating framework, but they are in the business of making a buck. How much of the market is what the readers want or know about, and what is safe and familiar and more of the same? I put it to you that this is no way to guide and decide what the future of Australian speculative fiction will look like. There's enough room for everyone within the spec fic arena, and there's no need for anyone to feel threatened. But it's important we don't lose sight of why we love the genre so, and what we need to do to ensure its continued survival. We should embrace and celebrate good writing whatever form it takes, but it's very important that we look for and nurture in particular the work that's on the edge. That's where the beating heart of the fantastic lies. So if you agree with me, you must be asking yourself 'Where to from here?' What can you do? As writers, never be complacent. You should always seek to go beyond what has gone before. Don't let the market decide. Don't let the audience decide. Write your story. Create the most blindingly original, the best, the most awe-inspiring, entertaining work you can. If you do that, the audience, the market, the publishers, everyone will be there with you. They have no other choice. As publishers and editors, seek out the strong and fresh. Take risks, dammit. The rewards are a vibrant, distinctly Australian voice in the face of global homogenisation. As readers, support the independent presses. That's where the really exciting stuff is happening. Demand more, be open to the strange and new, and don't be afraid to come along for the journey. It'll be worth it.